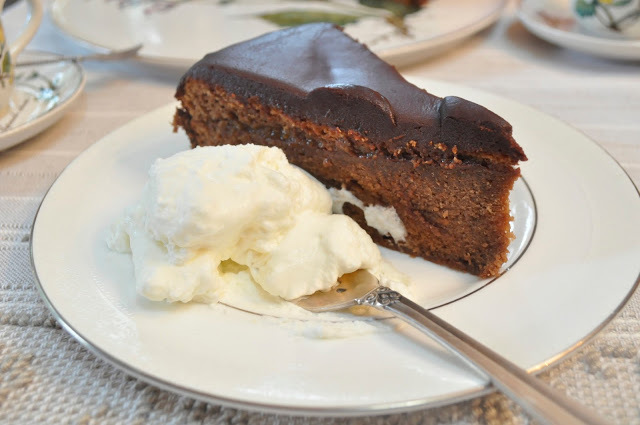 One of Central Europe’s iconic desserts, Sacher Torte was made famous after Austrian Franz Sacher made the dessert for Prince Wenzel von Metternich in 1832. Since then, Hotel Sacher has served it to countless visitors, and will even mail its cakes to devotees around the world who aren’t able to enjoy it in person in Vienna. 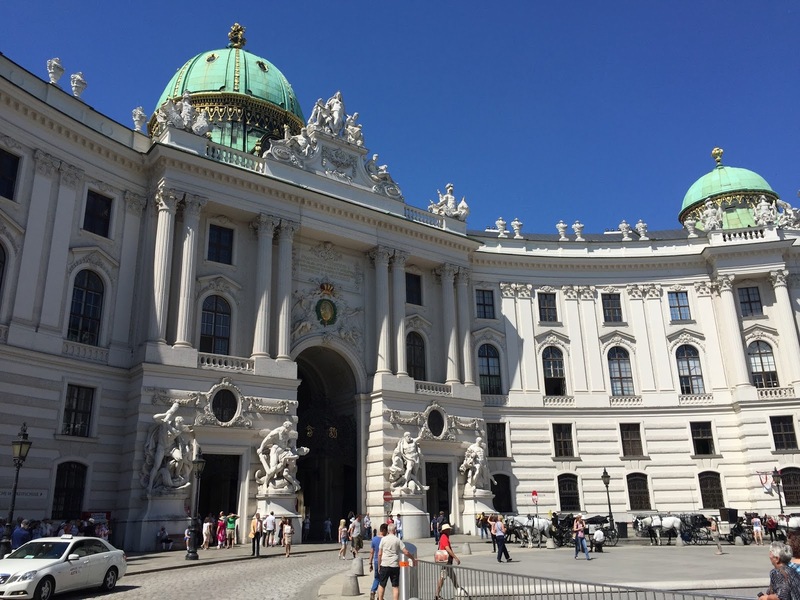 Fortunately, I’ve had the pleasure of eating Sacher torte in Vienna a few times, including on my honeymoon several months ago when we stayed at the hotel. 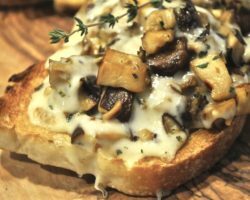 After arriving home, I had to try making it and it wasn’t difficult – just a little time consuming. I used a recipe from Lidia Bastianich, who knows a thing or two about the dessert since she was born in what’s now present day Croatia, once part of the Austria-Hungarian empire. I baked it in a springform pan, and while the the top of the cake puffs up a bit while baking, it deflates when it cools. Most recipes call for two layers, but Lidia’s called for three, so I split this into three parts, then filled the interior with the traditional apricot jam. 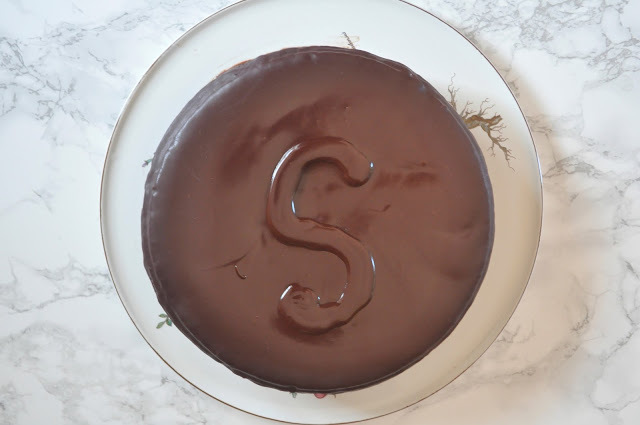 Pour a thick ganache glaze over the top, but save some to decorate with the traditional “S” for Sacher. It’s a really rich cake, so you don’t need a large slice to feel satisfied. But you do need to serve it with a generous portion of whipped cream. Anything less would be sacrilegious. Speaking of religious, here are a few photos of the beautiful city of Vienna, including St. Stephen’s cathedral, with its multi-colored tile roof. This is one of the entrances to the vast Hofburg – now home to Austria’s president, but once the imperial palace of the Habsburg empire. You can visit the palace rooms and even enjoy a performance of the famous Lipizzaner stallions here. 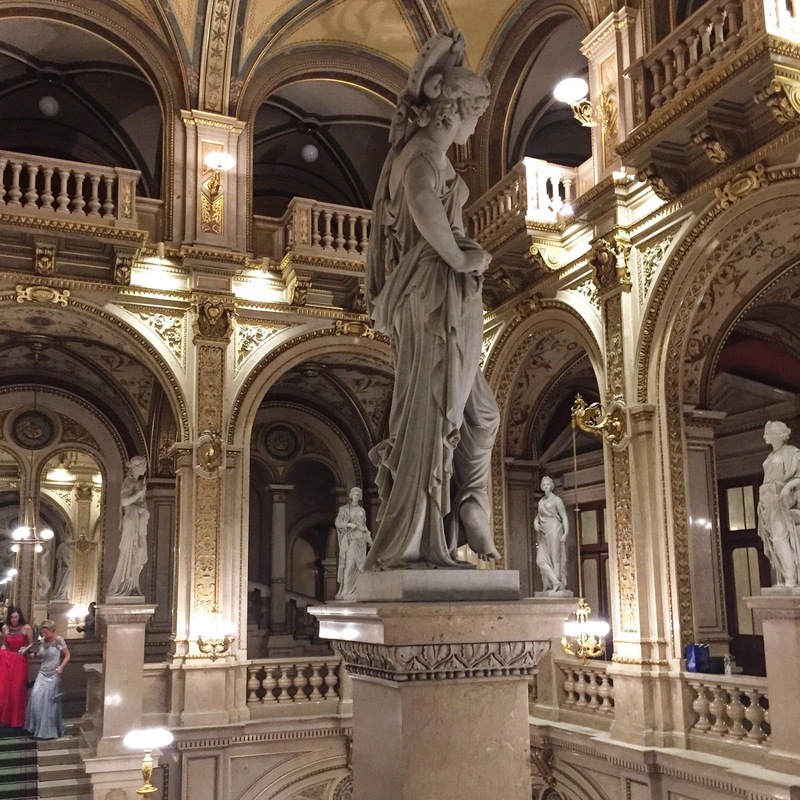 If you’re in Vienna during opera season, try to get tickets to a performance. Even if there’s no opera or symphony scheduled while you’re there, take a “behind the scenes” tour of one the world’s most elegant opera houses, or just step inside to gaze at the beautiful architecture. 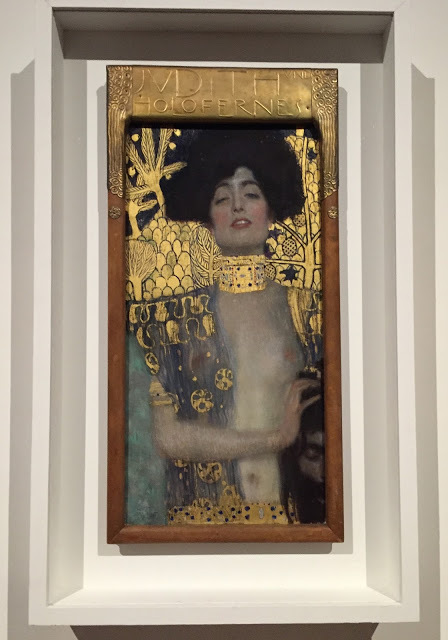 Lovers of Gustav Klimt’s art have myriad venues to view the Austrian artist’s work, including the famous Beethoven frieze at the Secession building, and his painting of Judith with the head of Holofernes, in the Belvedere museum. But don’t forget to end the day at the Sacher Hotel, with a slice of their incomparably delicious, eponymous cake. 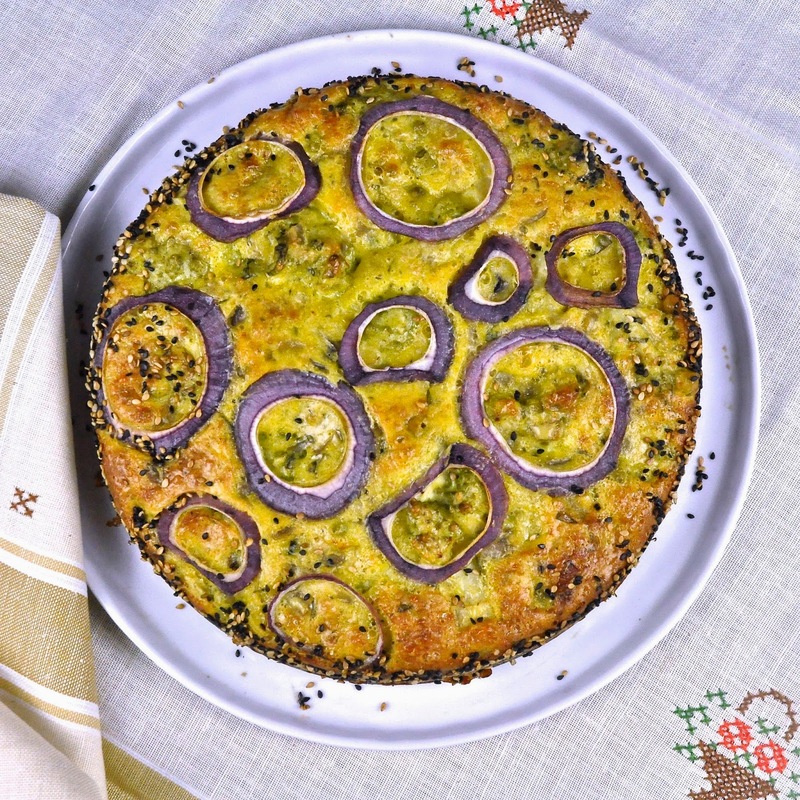 Even if you can’t get to Vienna, you can make the cake at home with the recipe below. 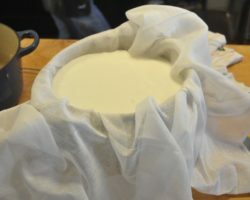 Butter the bottom of a 9″ springform pan, lined with a parchment circle. Heat the oven to 375 degrees. Cream the butter and sugar in the bowl of a mixer, using the whisk attachment, until light and smooth. Incorporate the egg yolks, one at a time, and then pour in the chocolate gradually, mixing it in thoroughly and scraping the sides of the bowl as needed. On low speed, incorporate the flour. Whip the egg whites to stiff peaks. Fold the egg whites into the batter with a rubber spatula. 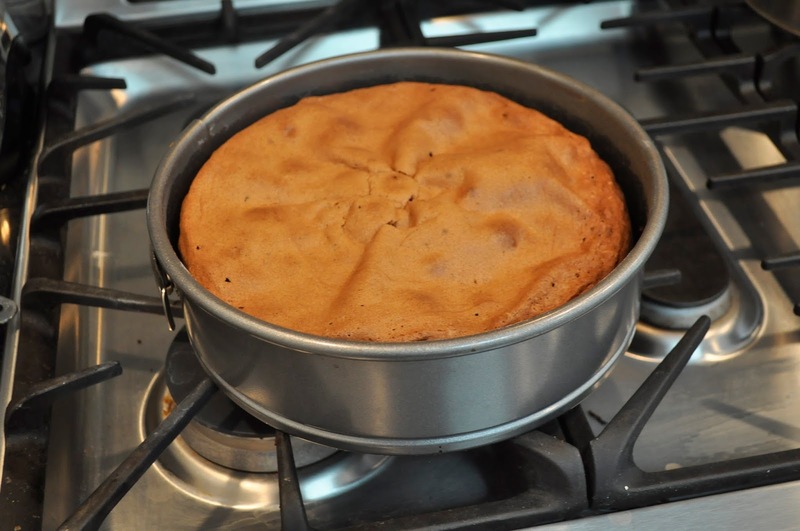 Scrape the batter into the prepared cake pan, and spread in an even layer. Bake until a cake tester come out clean — or until the top springs back when lightly pressed — 35 minutes or longer. Put the pan on a wire rack, cool briefly, then remove the side ring of the springform pan and let the cake cool completely. Lift the cake off the metal pan bottom, and peel off the parchment. Slice the cake horizontally into thirds, making three thin layers. 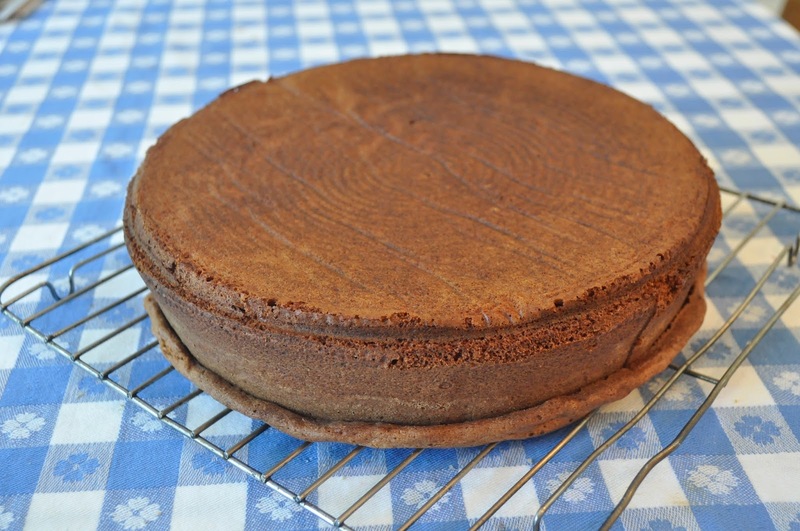 Take the top layer and place it upside down on your cake plate, so the crusty baked top becomes the base of the torte. Place narrow sheets of waxed paper or parchment paper, all around the bottom of the cake, to catch drips when you pour the chocolate glaze. Whisk 1/2 cup apricot preserves with the water and heat, stirring, until the preserves dissolve into a loose syrup. (I used a stick blender to break down the large chunks of apricot. )Brush 1/3 of the syrup on the bottom layer and let it soak in. Then take half of the remaining apricot preserves and spread it over the apricot syrup. Repeat with the remaining layers, ending with the top layer and the thin apricot syrup. For the chocolate glaze: Heat the corn syrup, rum, salt and water in a small heavy saucepan and bring to a boil, stirring. Turn off the heat and put the chopped chocolate into the pan, stirring, until the chunks have melted and the glaze is smooth and shiny. Let is cool slightly until it just starts to thicken, then pour the glaze over the top and sides of the cake, smoothing the sides so there are no bare spots. Save a little of the chocolate glaze to make an “S” shape, or to write “Sacher” on top of the cakeif desired. 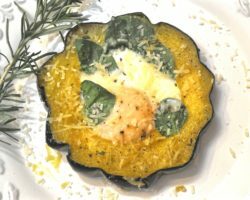 If so, let the glaze solidify at room temperature and for the glaze to become a little thicker. Then use a piping bag to pipe an “S” on the top of the cake. Beautiful and very tempting! 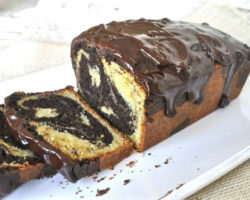 This is such a divine cake. 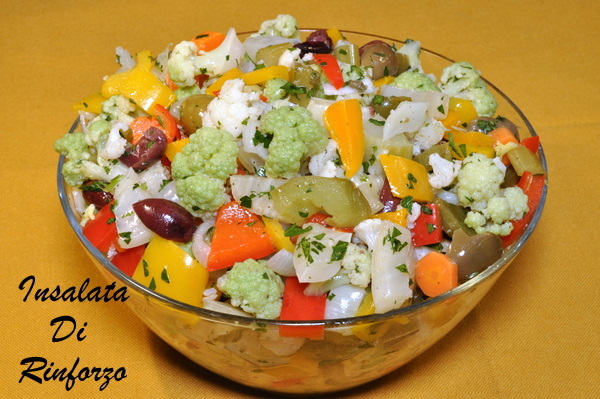 My mouth is watering just looking at it! It looks so rich and moist a real temptation to dive in. 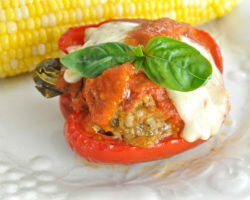 Looks like you did an excellent job reproducing the recipe. I'm definitely making your recipe. Have a wonderful day!! 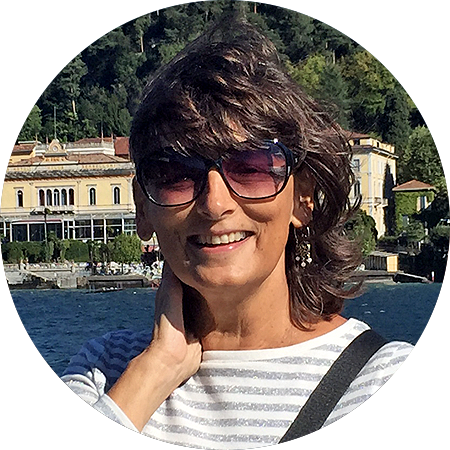 Your post took me on a delightful mental journey, I could almost hear the music… That Sacher Torte was a work of art – I put on a few pounds just looking at the beautiful photos. 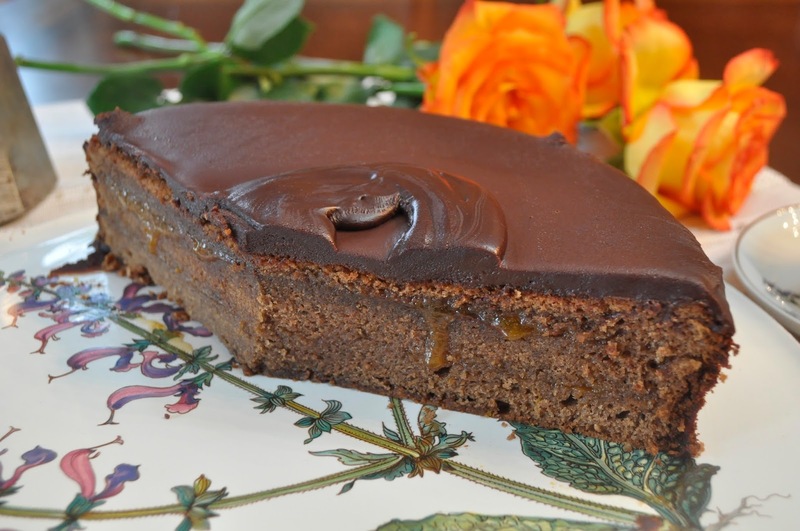 I've never made a Sacher torte but it looks dense and so delicious. 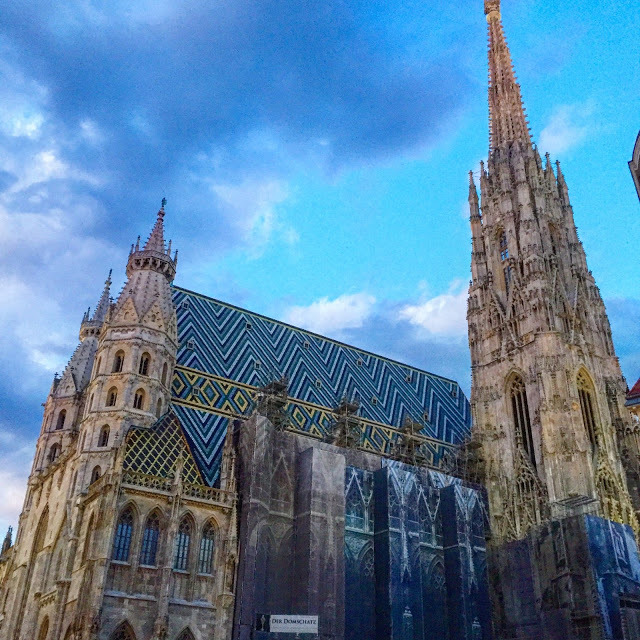 What a beautiful place Vienna must be. We only have a Gustav Klimt print in our art museum's collection. Judith is a beautiful work! 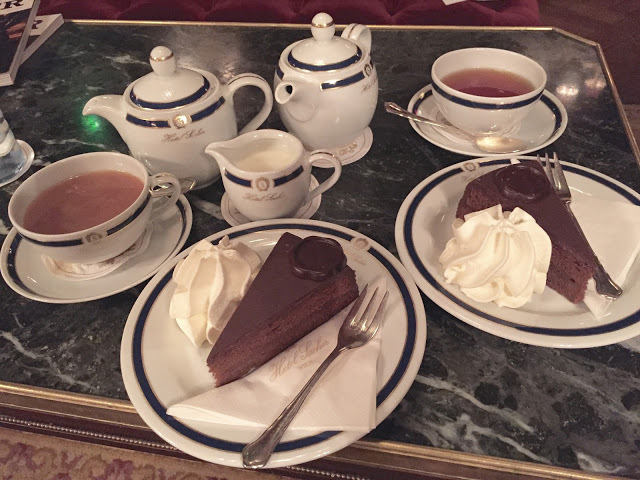 Whenever we are in Austria, I always order Sacher Torte at least once although I've not had a chance to try it in Vienna as we have not been there yet. 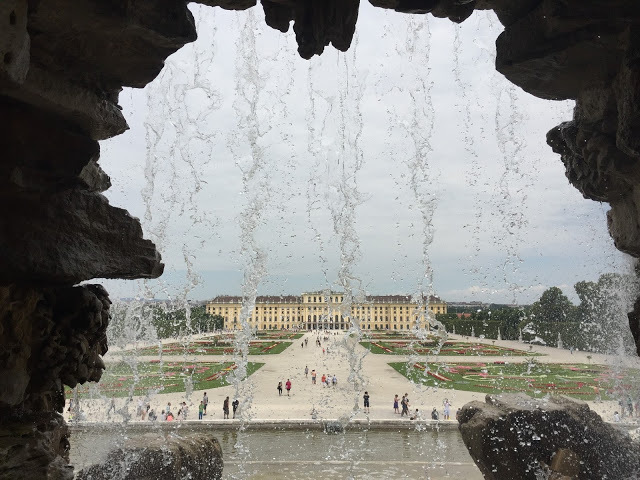 Your photos make me want to add it some year when we are in Austria. 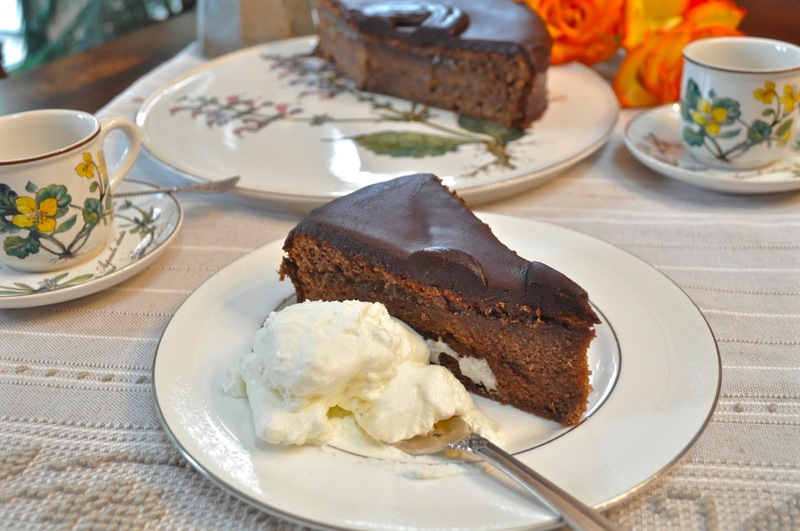 Oh thank you SO MUCH for sharing this recipe for Sacher Torte! 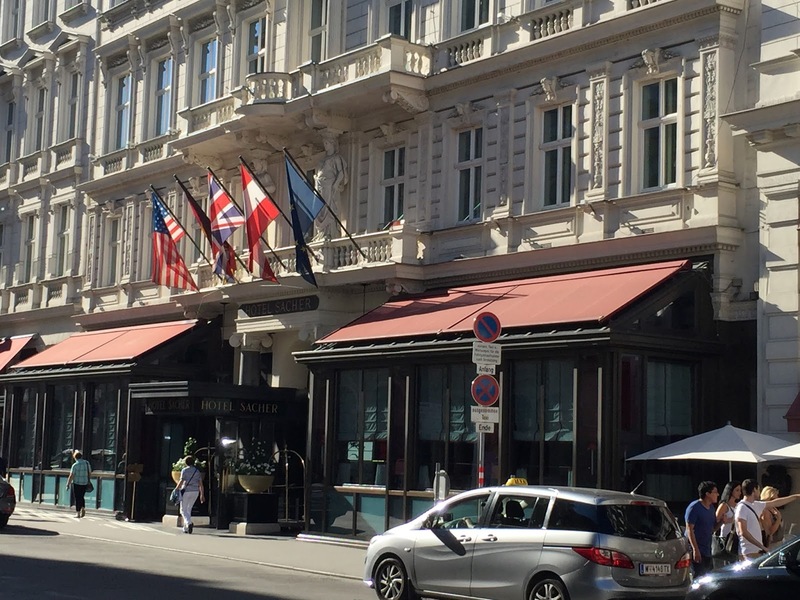 We loved ours that we gladly ate every day in Austria at the Sacher! what a cake! I love Gustav Klimt's art too! More to add to the bucket list in Europe!